Undoubtedly, you want to look great in your wedding in Greece. 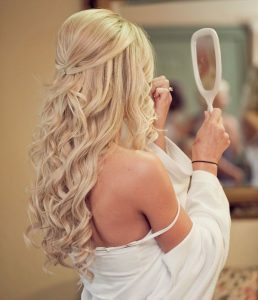 If you want to achieve the most beautiful version of yourself, it is wise to follow a bridal beauty routine the months before your Greek wedding. With these 7 tips, you can feel great and shine on this special day. Because beauty is a matter of self confidence. 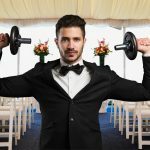 Plus, you have the motivation you need to start a new, healthier way of life, which you can follow also after your wedding. Thus, you can stay gorgeous and be not only a charming bride but also a constantly fascinating wife. Try staying away from sugar, alcohol, salt and processed food. If you want a flat belly inside your wedding dress, focus on green vegetables, fruits and lots of water. All of these will help you de-bloat, clear your skin, boost your energy and fuel your body. After a few weeks of healthy diet, you will understand its benefits, and French fries won’t look so attractive any more. 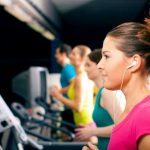 Choose a cardio activity you like, such as jogging, cycling or swimming, and stick to your fitness schedule 3-4 times per week. Workout will detox your skin, help you lose these 2 kilos you wanted and relieve stress that is too high before your wedding in Greece. In only a few months, your body will change! Don’t forget the weekly exfoliation, either chemical or physical. For softer and smoother skin, apply daily a serum with hyaluronic acid. Monthly micro-current facials with a professional are also a super way to help your skin look clearer and brighter. Wedding photos are crucial in Greek weddings and the best way to catch your memories in eternity. For amazing photos, buy a whitening toothpaste or whitening strips to make your smile shine. Of course, for more effective results, visit your dentist, but don’t go overboard. Extremely white teeth will look too artificial, while continuous whitening may make your teeth sensitive to hot and cold. 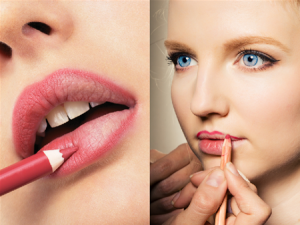 If you want the most kissable lips you can achieve on your Greek wedding day, apply every night a coat of lip balm or Vaseline. They will exfoliate and soften your lips at the same time. Work with your hairstylist to make a conditioning treatment for glossy hair. 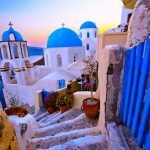 You may need to start doing weekly treatments a few months before your wedding in Greece. A customized treatment for your type of hair in your salon is the best option to achieve amazing results. Then, choose the right hairdo for your wedding dress. Get monthly waxes to have smooth skin in your face and body on your wedding day. For best results, book laser hair removal appointments, which can be permanent after around seven treatments.